If you’re looking for another reason to visit San Luis Obispo, you’ve got one with the 2014 San Luis Obispo International Film Festival (SLOIFF). 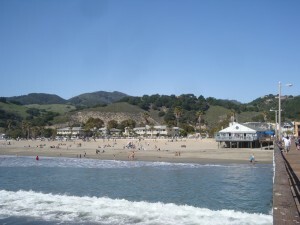 Surrounded by lush vineyards and a 100-mile coastline, this annual event showcases contemporary and classic film screenings in thirteen different locations ranging from the city’s classic art deco Fremont Theatre, to the independent Palm Theatre, complimented by a variety of unexpected venues in Paso Robles Wine Country and the seaside towns of Avila Beach and Pismo Beach. From March 5-9, this year’s festival will feature classic Hollywood movies, new independent films and documentaries, and a Central Coast Filmmaker Showcase of films written, directed and/or produced by local residents. At the festival you can enjoy classic films How The West Was Won, Metropolis, and Spartacus. Or, choose between other highlights such as a documentary about actor Adam West (Starring Adam West, the SLOIFF Opening Night Film), the controversial Iranian drama Everything Is Fine Here, and a sing-along Les Misérables. On Friday night (March 7), enjoy “Surf Nite” in SLO with the 1970’s classic surf movie Five Summer Stories followed by HONK performing live in concert. 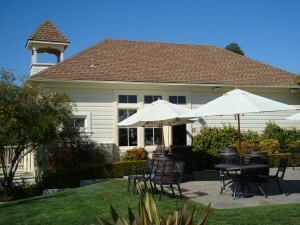 Beyond the film viewings, San Luis Obispo International Film Festival attendees can also attend special events such as an Opening Night Reception at Luis Wine Bar, the King Vidor Award Reception featuring local wineries and restaurants, and the Closing Night Festival and Awards Party. From cutting edge documentaries to tried and true cinema classics, the SLOIFF celebrates film by offering something for everyone. Running For Jim – A portrayal of grit and determination as it chronicles the true story of Jim Tracy, the most decorated high school cross-country coach in California history and his battle with fatal Lou Gehrig’s disease (Best Documentary at the SOHO International Film Festival). 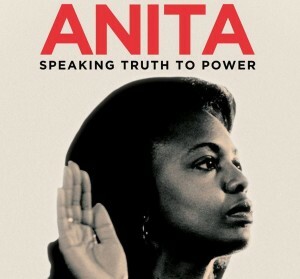 Anita – It’s been more than 20 years since Anita Hill was subpoenaed to testify about alleged sexual harassment by Clarence Thomas, who was undergoing Senate confirmation for the Supreme Court. In a new documentary, Ms. Hill tells her story for the first time on film. A Birder’s Guide to Everything – On the eve of his father’s remarriage, a 15-year-old birding fanatic escapes on an epic road trip with his best buddies in this funny and poignant coming-of-age story. Choosing Signs – This Irish romantic comedy explores the conflicts that exist between people who believe there is nothing beyond what we see, and those who believe that the spirit world is a daily part of our lives. The Last Days of Cinerama – Less than 20 Cinerama films were ever made and filmmakers Robert Garren and Mike Celestino take a look into the making of the first three-panel Cinerama film and re-create the process 50 years later. Afterwards, there will be a screening of How The West Was Won (1962), one of the most successful and enduring examples of this early widescreen format. A New York Heartbeat – A street gang drama focused on a 17-year-old trying to make a reputation for himself on the streets of New York in 1959 when a bad choice lands him on the wrong side of a notorious gangster. Perfect Strangers – A documentary telling both sides of the story about a kidney donation, and the unexpected challenges two women face over a four-year journey. 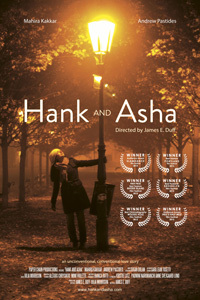 For a complete listing of films (narrative, documentary, short, animated) and the schedule for the week, please go here. Movie Mogul Pass: $250 – This Full Access Pass provides admission for one person to all Regular Festival Screenings, Special Events, Workshops/Panels, and all Parties including VIP events. Movie Mogul Pass purchasers will also receive a Wine Tasting Pass, good for complimentary wine tastings at local participating wineries. Movie Star Pass: $100 – This provides admission for one person to all Regular Festival Screenings and all regular workshop/panels. Movie Fanatic Pass: $50 – This provides admission for one person to six Regular Festival Screenings, or two people for three Regular Screenings. For Regular Screenings, all passes allow priority admission for up to 15 minutes before screening/event time. After that, pass holders are seated on a first-come, first-serve basis. Additional tickets for Regular Screenings will be sold at the venue on a first-come, first serve availability basis for $10 General, $8 Students and SLOIFF Film Society (except for the Filmmakers of Tomorrow Showcase which is $5 for General and Free to students). 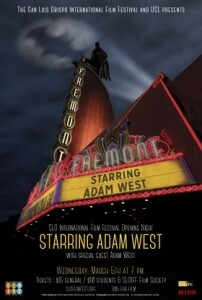 Tickets for Special Screenings (Starring Adam West, Metropolis, etc.) can also be purchased separately. To purchase tickets, please go here. In addition, the SLOIFF Festival Headquarters (1007 Monterey Street, San Luis Obispo) is now open for Festival Pass and ticket pickups but hours vary so please check here for when they are open. The King Vidor Award for Excellence in Filmmaking is presented annually to a talented filmmaker, actor, or film artist in recognition of his or her artistic contributions. King Vidor, a former local resident, holds the record for the longest career as a film director (from 1913 to 1980). Past Award recipients have included Robert Wise, Ernest Borgnine, Stanley Kramer, Morgan Freeman, Norman Jewison, James Cromwell, Peter Fonda, Malcolm McDowell, and John Hawkes. 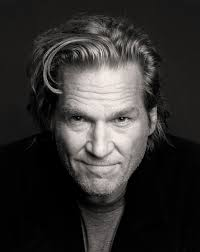 For 2014, the San Luis Obispo International Film Festival’s 20th Anniversary King Vidor Award recipient will be Academy Award®-winning actor Jeff Bridges. Former King Vidor Award recipient James Cromwell will present the award on March 8, followed by a conversation with Mr. Bridges and a screening of the 1998 cult classic, The Big Lebowski. Tickets for the King Vidor Award Reception are $35 per person, or $25 for Students and SLOIFF Film Society members. Attendees can rub elbows with the 2014 King Vidor honoree, special guests and SLOIFF filmmakers while enjoying fine wines and great food in the cozy setting of the SLO Masonic Lodge (859 Marsh Street, San Luis Obispo). The Reception is sponsored by Ancient Peaks Winery, Baileyana Winery, Bello Mundo Cafe, Center of Effort, Chamisal Vineyards, Granada Bistro, Luna Red, Mama’s Meatball, Novo Restaurant, Roxo Port Cellars, Windows on the Water, and Stolichnaya Vodka/Young’s Market. In addition to acting, Jeff Bridges plays with his band The Abiders and he is also a very talented photographer, artist and an inspiring humanitarian. He is currently the national spokesman for the Share Our Strength/No Kid Hungry campaign that is fighting to end childhood hunger in America. A portion of the proceeds from this event will be donated to this charity in his honor. Located halfway between San Francisco and Los Angeles, San Luis Obispo County is the jewel of California’s Central Coast with breaktaking ocean views and beaches. The County has numerous charming hotels and B&Bs, gourmet restaurants, wine bars, picturesque creeks and ranches, boutiques, and the historic Mission San Luis Obispo de Tolosa. Outdoor enthusiasts can also enjoy idyllic areas for hiking, biking, surfing, and kayaking. For lodging options, Sponsors of the 2014 San Luis Obispo International Film Festival include Apple Farm, Avila La Fonda Hotel, Avila Lighthouse Suites, The Cliffs Resort, Granada Hotel & Bistro and Paso Robles Inn (and some of these have special discounts for SLOIFF Filmgoers). 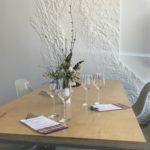 While you’re in the Central Coast area, if you are looking for some suggestions on wineries and/or restaurants to visit in between films, please see our recommendations by clicking on “Favorites By Wine Region” on the menu bar above, and following the drop-down menus to the area(s) you are interested in. Wow! Thanks Two Guys!!! I couldn’t have said it better myself! Come on down and we’ll show you a SLO good time! Looking forward to finally attending a few of these screenings/events. The littles are big enough now to stay home alone!